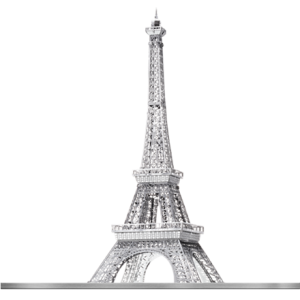 * Located on the Champ de Mars in Paris, the Eiffel Tower has become a global icon of France and one of the most recognizable structures in the world. 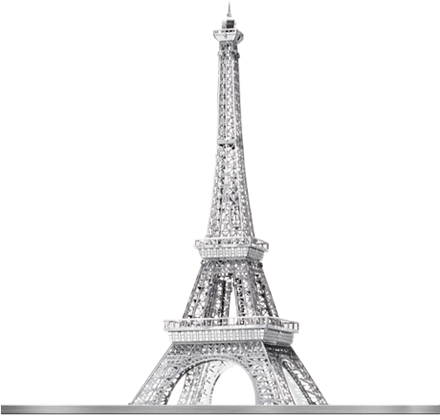 * Named after its designer, engineer Gustave Eiffel, the tower was built as the entrance arch to the 1889 World’s Fair. * The Eiffel Tower stands at 1,063 feet tall. It was the tallest man-made structure in the world until the Chrysler Building was built in 1930. 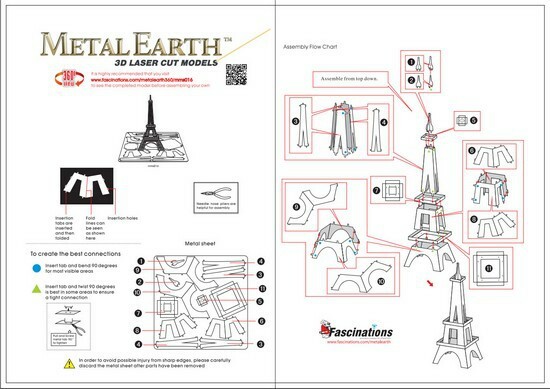 These amazingly detailed DIY models start out as 4" square steel sheets and finish as fabulous 3D models. A variety of options to choose from, collect them all!